It’s easy to take your hot water heater for granted until something goes awry. Your water heater is one of the most important appliances in your home, hands down. You use it every day to shower, brush your teeth, and wash dishes, so it’s important to ensure your system is working efficiently at all times. 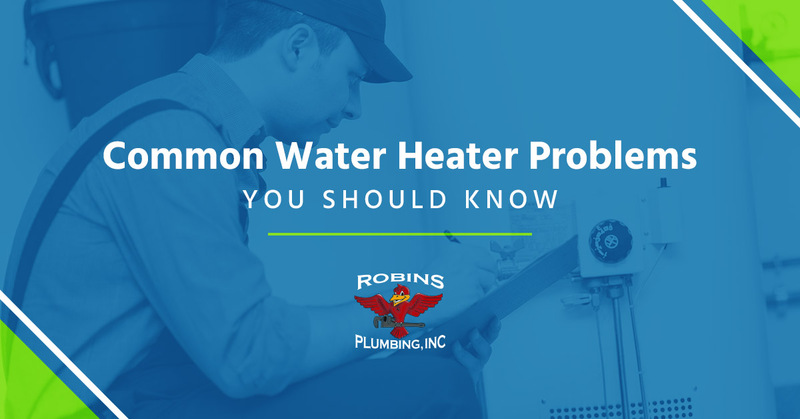 In this blog, we’re going to take a close look at some common water heater problems that you should be aware of. If you need water heater replacement or repair services in Phoenix, reach out to the professionals at Robins Plumbing, Inc. today. Have you started to notice pools of water collecting around your water heater? If so, contact your local plumbing company right away. There’s a good chance you’ll need to replace your current water heater, either because it is too old or has become damaged and less efficient. Oftentimes, corrosion is the main cause of a leaking tank, but only a licensed plumber will be able to accurately identify the issue. This is not something you’ll want to ignore because small water heater problems can turn into big issues overnight. Has your water heater started to make some funny rumbling sounds all of the sudden? Does it sound like a miniature person is inside your water heater, banging on all of the metal walls? If you answered yes to any of these questions, you may have an issue on your hands. A noisy water heater can be the result of a few different things. For one, things like sediment and mineral deposits are known to gather at the bottom of water heater tanks. When the sediment and mineral deposits are heated, it can result in a “bang” or “pop” sound. If you’re looking for a way to combat your noisy water heater, you may want to consider investing in a water treatment system to help filter out sediment and mineral deposits. If the water coming out of your kitchen or bathroom faucet has a stinky smell to it, the water likely has bacteria in it, which has accumulated sitting in your hot water tank. If you live in an area of town that uses well water, this may be something you deal with on a regular basis. One way to try and fix this issue is to periodically flush out your water heater. This may help eliminate the sulfur or rotten egg smell from your home’s water. There’s nothing worse than running out of hot water during your morning shower routine. If your hot water heater stops producing hot water, it could be due to a few different things. When it comes to electric water heaters, you should initially check the circuit breaker to make sure your heater is getting the power it needs to operate. If your electric water heater is more than 15 years old, it may need to be replaced or repaired. An experienced plumbing company can help you make this judgement call. Another thing that may be preventing your home from receiving hot water is a broken thermostat. 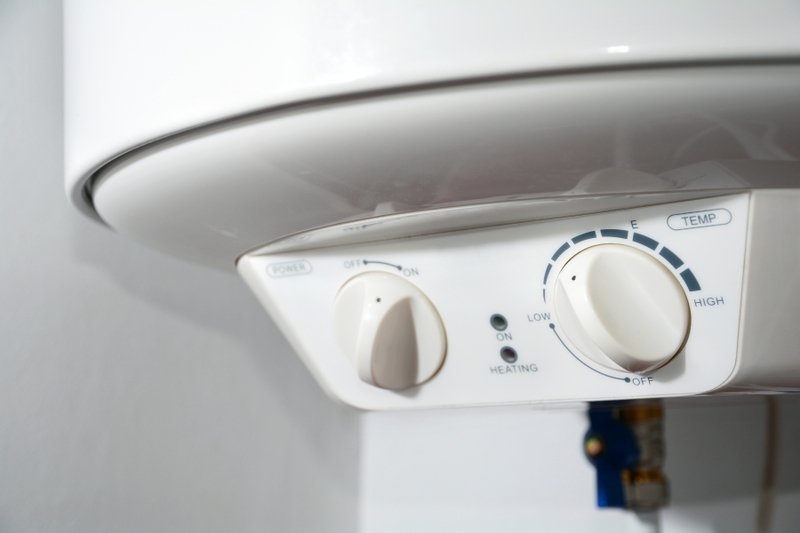 Your electric water heater likely has two thermostats, one on the top and one on the bottom of your system. If one of them breaks, it can cause your water heater to act unusual. The main reason for gas water heaters to stop producing hot water is because of a lack of gas flow to the system (it’s always wise to check your pilot light as well). Try adjusting the thermostat, and if nothing changes, call your local plumbing company. When your home’s water heater stops working as well as it used to, it may take more time for your water to reheat. Your water heater recovery time (this is the amount of time it takes for the water heater to heat up in the full tank) shouldn’t take longer than a few seconds. Depending on your current water heater’s capacity, you may be running too many hot water applications at once. If two people in your household are taking a shower while another person is doing laundry, there’s a good chance you’ll overload your water heater. This means that your system will struggle to supply all of the hot water you need, and may eventually shut itself down. If you find yourself waiting minutes for your faucet’s water to get warm, there may be something wrong with your water heater system, and we recommend calling a professional plumber to inspect the situation. If your hot water heater has started leaking or acting up, contact the experts at Robins Plumbing, Inc. in Phoenix today. We specialize in services both gas and electric water heaters, and we can even provide same-day service for those plumbing emergencies.